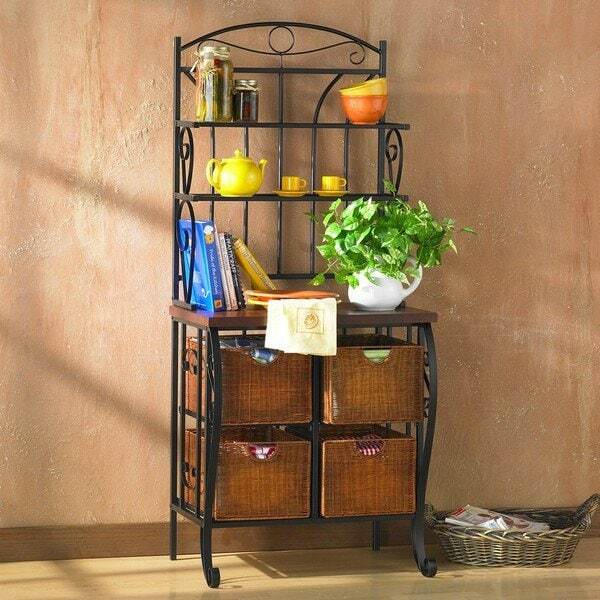 Add a vintage, country feel to your kitchen with this striking iron and wicker basket rack. 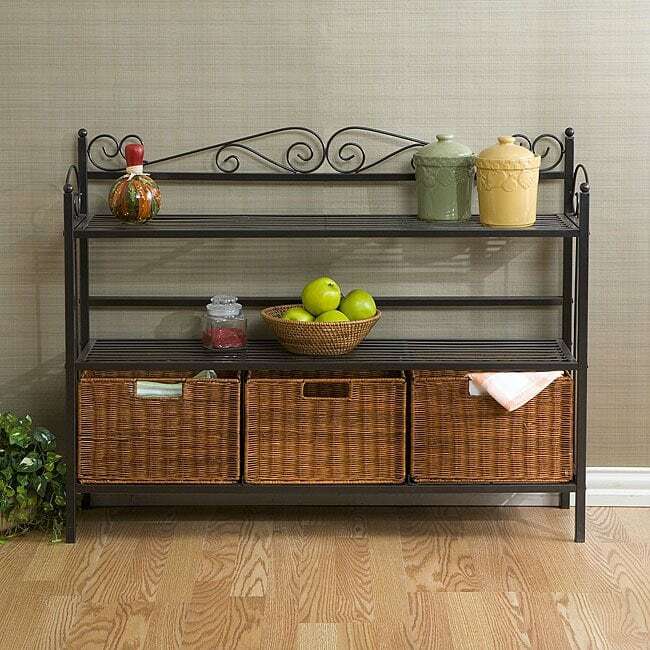 Perfect for everything from storing cookbooks and linens to cooling pies, the rack is crafted with a black iron frame with two shelves over the wooden countertop, and four compartments with wicker baskets below. This Docherty trellis-pattern baker’s rack from Copper Grove is an ideal way to add country-cottage style to your home. 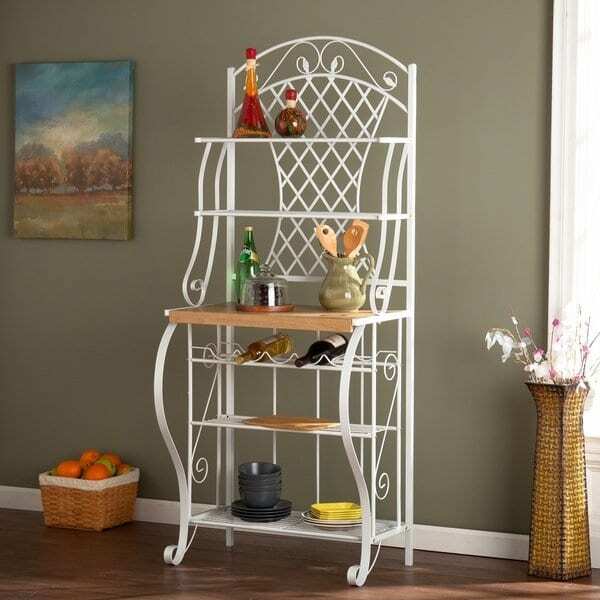 The steel frame has a French-country design with an attractive white finish. The rack features multiple storage options, including a five-bottle wine rack, five shelves, and a tabletop. This stylish rack is a perfect balance of functionality and elegance, with a transitional style and sturdy metal frame. The frame is slim and does not take up much space compared to the storage it provides. 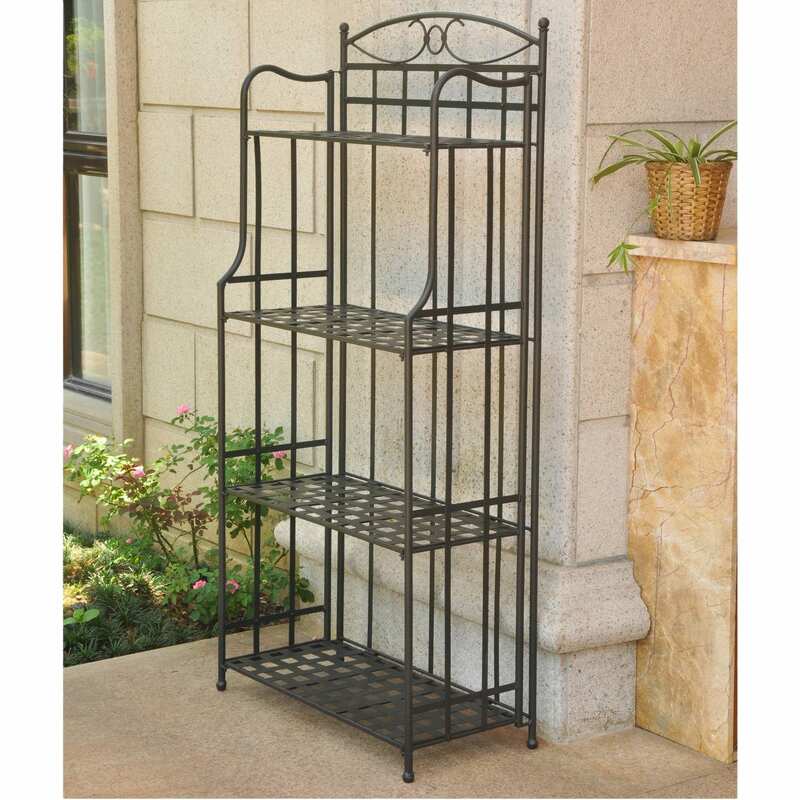 House your favorite potted plants indoors or out with this sturdy metal bakers rack from International Caravan. Four shelves easily snap into place for simple assembly, supporting up to 50 pounds each. A weather and UV-resistant powder coated finish in your choice of color covers the sturdy steel frame, guaranteeing lasting resilience on your patio. 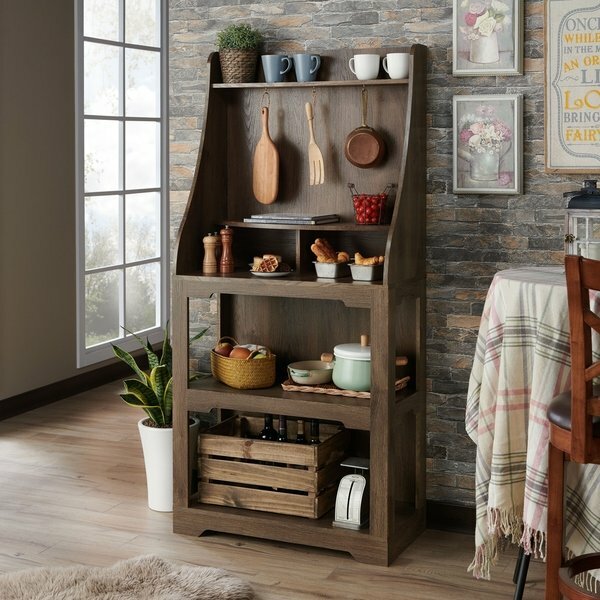 A baker’s rack with a rustic touch, this space saving kitchen storage helps you stay organized. Two decorative shelves with scalloped fronts make up the base of the baker’s rack. A total of six shelves and three hooks give you plenty of space for kitchen item overflow.